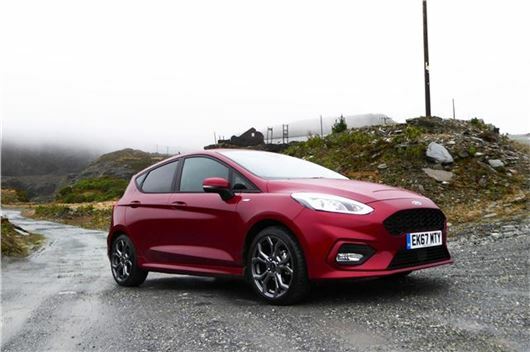 My nearly new Fiesta has ‘assisted hill start’ to prevent rolling back during a hill start. What would a driving test examiner make of this? It can't be turned off. The car also has traction control with a switch to turn it off. Why would anyone want to turn that off? I can't tell you how driving examiners view assisted hill start. I would guess that since it is a safety innovation they have to accept it. As for traction control, sometimes, for example to get out of snow, it can be beneficial to switch it off and spin the wheels. Leave it on and as soon as the TCS detects wheelspin it cuts power to the spinning wheel so you get nowhere. A local trusted car dealer has a 2006 Hyundai Santa Fe 2.2CDX Plus CDTI in very good condition with 121,000 miles. It has a good service history and comes with a full service, new cam belt, water pump etc and new callipers. Price £3,695. Do you think this to be a good purchase? I am looking to change my car and am likely to buy something about the size of a Ford Focus. Ideally, the new vehicle will have no more than around 20,000 mile on the clock and cost in the region of £12,000. I am interested in the modern trend to smaller engine sizes and would welcome your views on these. I am retired and my journeys are mainly short with probably one a week in excess of 20 miles. I do longer journeys on motorways and trunk roads on average once a month. I occasionally need to transport my grandson and his cello. It is fair to say that my wife and I like the modern accessories - dual zone climate control, parking sensors etc so a fairly high spec is required. I would prefer a petrol engine with automatic gearbox. Do you have any suggestions, please, or are we looking for the moon? If you can find a Peugeot 2008 with the 1.2 Puretech 110 engine and EAT6 automatic transmission, that would do the job. Alternatively a 308 estate with the 1.2 Puretech 130 EAT6. Avoid anything Audi, VW, Skoda or SEAT with a small petrol engine and DQ200 7-speed dry clutch auto. For the best warranty (7 years), look at KIAs. I own a 20-month old Mokka X 1.4 auto and 2 days ago when driving, the power steering failed, with a message on the dash "power steering disengaged". I phoned the AA and was told my Breakdown Recovery was out of date and only lasted for 1 year. This surprised me as all the vehicles I have bought before had 3 years Warranty and 3 years Breakdown Recovery, so I had been driving since last March without recovery and at 83 years old this was quite upsetting. However, the main problem is the power steering failing and having to drive home approximately 1 mile with great difficulty. After half-an-hour at home I went to straighten the car up in the driveway and found the steering perfect. I would like to know if this is a common problem with the Mokka and also would it be safe to drive? It goes into the garage on Monday. It's electric power steering, directly powered by an electric motor. The power or the earth may have temporarily disconnected. Very important not to force full lock with this type pf power steering. That can burn out the electric motor. My FIAT Panda is a great little car but interior noise from tyres can be irritating. Have you a link you can send me detailing some quiet rolling tyres for small cars? Or recommendations? I have the car of my dreams (mid-life crisis car), a 2009 Mitsubishi Colt Cabriolet CZC3 which I have owned for about 8 years. Up until now it has been a fantastic car with very little going wrong. It has been serviced regularly and any repairs carried out by the Mitsubishi garage in Bristol. Just after Christmas I noticed that the passenger widow, which goes down slightly when the door is opened and then closes up when the door is shut, was not closing up. It could be closed using the switch on the driver’s door but I haven’t dared open the window completely in case I couldn’t put it up again. I booked the car into Mitsubishi for this and a couple of other things to be done and was horrified to be told that the issue with the window was the ‘N/S/F Window Motor’ which is no longer made by Mitsubishi so there was nothing to be done. It was pointed out to me that I couldn’t use the retractable roof as this depends on the window working correctly. I am desperate to get my beautiful car repaired before the summer get here (if it ever does), what can I do. Any help would be gratefully received. You’re in the right town. Get in touch with https://www.bristolsunroofs.co.uk/ who may be able to help or if not may know of someone who can supply a new motor or repair the existing one. Also, if you Google <Mitsubishi Colt CZC window motors> a number of potential suppliers of the part come up. My 2013 Audi A3 automatic had to be taken to Audi Wolverhampton by the AA under Roadside Assist. The engine started OK, but when put into gear it would not engage and the car would not move. I hear that Audi has had trouble with this gearbox/clutch and that it is expensive to put right. The car has only done 57,000 miles, but is out of warranty. Is there anything I can do? During the last 12 months I have already spent £1,200 on repairs, including another occasion when it had to be collected by the AA. This has become a common failure on VAG cars (Audis, VWs, Skodas and SEATs) fitted with the DQ200 7-speed dry clutch s-tronic / DSG. It's possible that a member of http://www.fedato.co.uk may have a relatively cheap fix. A week ago a large Land Rover in front of me braked suddenly and I went into the back of him (it wasn't Prince Phillip). No damage to his car, but a lot to mine. He clearly wasn't insured and in a hurry to get off, so, because of the rear-ending rule, I was fine about this until I saw the damage to my car once I had stopped (we were in the middle of a rather dangerous contraflow system and he had disappeared). My car is a 2013 Hyundai ix20 (often recommended by you, thank you) which I bought about ten months ago for £6,999 with finance on £5,567 over four years. I have GAP insurance on this loan. My insurer, LV= says the car is a write off as their estimater says it will cost £5,856 to repair and its current value is £6,370. It has very low mileage of 28,000 and only one previous owner. I asked for a copy of the report and it seems to be excessively finickity, including bits of work that relate to its condition when I bought it. Nearly £1,000 is VAT and it looks like they would want to restore it to almost new condition. Would I be better to get a second and hopefully cheaper estimate and pay for it myself out of my savings rather than risk confessing to Vauxhall Finance what has happened and possibly having to still pay the monthly charge for repayment of the loan. What would be the financial implications of the car being a write off? What does GAP insurance actually mean? The only damage is to the front of the car; none to the tyres, etc. but the bonnet really caved in due to the height where we hit it. This 'accident' was your fault. But you might be able to negotiate with LV that they write the car off, then sell the salvage to you and you can than get quotes and organise a cheaper repair, using 2nd hand parts if necessary. However, you say you have GAP insurance. Depending on whether it is 'return to invoice' or is 'market value' it should make up the 'gap' between what the insurer is prepared to pay you for the write off and either its original invoice price or its market value. We have a 2016 KIA Sorento 2.2 diesel manual. Do you know when this model will be replaced? The car has covered 49,000 miles from new and we average 20,000 miles annually. Would you replace it now or drive it on? I'd be concerned that I'd end up with a bill for a new clutch and DPF problems in the next 2 years. It will need a major service this year also. It's a really well-built car and has been trouble free apart from a new air con compressor at 3 months old (replaced FoC under warranty). I know another guy with the same car who needed a new starter motor at 1 year old. We got 47,500 miles from the original Nexen Ru1 tyres. It returns 38 mpg. I notice that if I use Miller's diesel additive to ordinary diesel, it cruises at 100kmh at some 150rpm lower than without, suggesting that the fuel additive improves torque. I don't understand how this can be happening. I suggest you wear anti-slip 'deck' shoes or similar, then it won't. But if the pedal rubber has hardened you could consider getting some coarse sandpaper and 'roughing it up'. Having been snow-bound in the winter of 2018, I changed my car to an BMW X1 and had front/rear BMW Advanced Eye dashcams fitted (after an aggressive cyclist attempted an assault – I am 72 years old). Months later my eco stop/start no longer worked, culminating lately in constant repeated messages that my battery has discharged and to run the car for an extended period. My local dealership has agreed to put my battery on charge, but my questions are as follows: Will this be a continual problem if I use the cams to their fullest extent (drive and parking)? Is it BMW dealership or BMW cam website duty to warn customers this can happen? If I follow advice from dealership to switch off/reduce sensitivity of aspects of cams to save battery doesn't this make the product "not fit for purpose" under Sale of Goods legislation? Since about 2008, BMWs have had a system called Efficient Dynamics that uses a regenerating alternator and a special battery so that fuel is not used to recharge the battery; it only recharges on the over-run or while coasting. This is great if the car does a high mileage and the driver will not notice. But if he uses the car largely for short runs from cold starts he will not recycle the battery sufficiently, the stop-start will not work and eventually the battery will lose its capacity to hold a full charge. I doubt that the cameras use much if correctly fitted. If incorrectly fitted, they might. My daughter, who lives and works in Wales, travels extensively throughout Wales and Herefordshire in her work, and is thinking of buying a 2nd hand smallish 4x4 such as a Jiminy or similar. She has a budget of around six to seven thousand. What can you recommend, please? We would be most grateful for your advice. If her travels are primarily off road and on rough tracks then the Suzuki Jimny makes sense. If mainly on roads then a bigger Suzuki Grand Vitara SWB makes much more sense because it's much better to drive on the road: /road-tests/suzuki/suzuki-grand-vitara-swb-2006-road-test/ An alternative is a Daihatsu Terios. I have seen a Charge and Start Gadget advertised in the DT at £12.99. I thought it might be an answer to flat batteries, having had a problem with attaching jump leads on a Smart car for a neighbour. The battery in the passenger well is hard to attach large crocs to, particularly in the dark. Anyway, the advertised gadget merely needs to plug in to the cigarette lighter sockets of a running car and a flat car, not even needing to lift the bonnet. Whilst the advert clearly says cigarette sockets, what it does not say is that most cars nowadays fit Power Outlets. The question is would these work on Power Outlet cars when these are often not live if the ignition is off? If the battery is very flat, I doubt if the Power Outlet socket would have an electrical connection to the battery. Look forward to your reply on this. There are two types of power outlet. One is via the ignition so is off when the ignition is off. The other is directly hardwired to the battery and should be suitable for charging it. KIA and Peugeot fit both types. I can't advise about Smart. To check you would have to see if you could run anything from the socket with the ignition off. I'm sure you and others have written on this before but I can't seem to find direct advice on the Internet. My daughter got a parking 'ticket' from a private company in what she thought was a legitimate place to park (apparently not) on a one-off basis in November 2018. At the time I looked up the issuer and the advice seemed to suggest it was a bit rogue and to 'ignore it.' My daughter did not collect any details about what parking signs, etc. were around at the time. As the registered owner of the car, I have now received a 'Parking Charge Notice' from TNC parking services (debt collectors) asking for me to name the driver or pay the £100 'invoice'. Can you offer any advice? There was one piece on the Internet that said I had to be notified within 56 days but the (supposed) offence was on 20/11/2018 and the letter dated 16 January = 57 days and it didn't arrive until the 19th of January. Does that help at all? If I have to pay the £100 to make this go away, so be it, but I really don't like aiding and abetting this type of extortion so happy to resist as well. Stick with it for the comfort, and also because the dogs will have done some damage that reduces its p/x value. I have received a letter regarding a safety recall on my Honda Jazz stating the passenger Takata airbag inflator may be over pressurised and if impact deployed it may ignite and the metal casing may rupture causing metal fragments to be propelled into the vehicle compartment. Honda states due to the scale of affected vehicles the part may take some time. I feel very concerned about the delay. This has affected more than 100,000,000 airbags in more than 70,000,000 cars worldwide and the issue bankrupted Takata. New production facilities have had to be set up to make the replacement airbag inflators. Though the issue has been with us for a couple of years, they are still struggling to make replacement airbags in sufficient numbers. Taffed ideas - a Daihatsu Terios is OK (despite the cheapskate lack of a loadspace cover) and has a reputation for reliability but they can rust and are quite expensive secondhand despite not being sold here for 10 years. Another alternative might be a Fiat Panda 4x4 with good allseason tyres. Re Jazz passenger airbag. I'm in the same position. You can de activate the passenger airbag using the ignition key in a socket on the passenger nearside scuttle area. That's what I have done until the dealer can replace it. When I sold my old Merc 230TE my son and I valetted it ourselves. It regularly took a greyhound and a collie corss in the boot. We had to remove dog hair and nose marks on the glass and give it a freshen up. The buyer could not beleive that we had ever used it for carrying dogs. PC, Winchester says the hill assist can't be turned off in his Fiesta.. If he refers to his manual he will see that this can be turned off its in the vehicle menu in the centre display. (Between the speedo and rev counter).